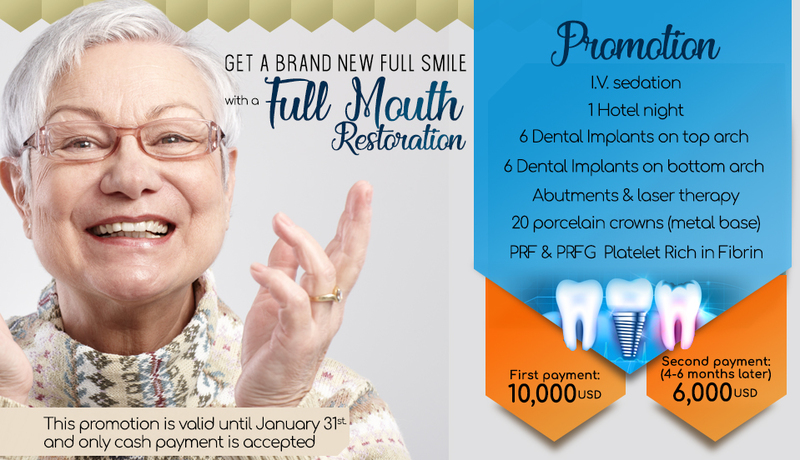 We are a Dental Clinic specialized in Dental Implants and Cosmetic Dentistry, operating in a friendly relaxed atmosphere assuring our patients that will never look at dental visits the same way again. Here at Dent Art Center our mission is making healthy and beautiful smiles by integrating professionalism and expertise with art and design. The clinic provides a pleasant and cozy atmosphere, from the moment that you walk in you know it is not a typical dental clinic. We are committed to continuously updating our dental services, we provide our patients only the best dental treatments by integrating the latest technologies and highest quality materials. 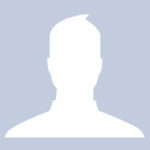 We have chosen only the latest and greatest dental tools and technologies. Our mission is provide you everything you need for health and beauty not to mention we have our in house laboratory for your ultimate convenience and CEREC™ equipment for high quality and aesthetic dentistry as well as digital X-ray. 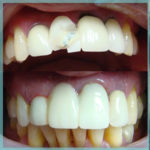 CEREC™ stands for CEramic REConstruction, is a computer-aided restoration device that allows us to create natural looking restorations, like crowns, inlays, onlays and veneers. We know your time is valuable, and fewer visits to the dentist means more time for you. 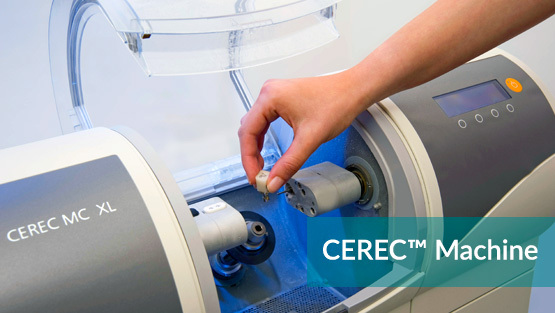 CEREC™ uses a special camera to take an image of your tooth, no need for the dentist to take an impression. 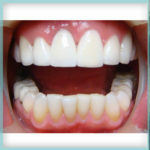 The image is converted into a 3D computerized model, the dentist manipulates the model until it is just right for you. The design of the new tooth is sent to a special milling machine and the restoration is milled out of ceramic using diamond burs. The dentist makes sure the restoration’s size and color are correct, polishes and affixes it, cements the crown, inlay, onlay or veneer. I just want to point out here that the service has been great. The girls are really good. Dr. seems more than ample. He performed 8 implants and I feel great, no pain and soon new teeth. I am very pleased with the performance of the whole crew and I would recommend it everywhere. 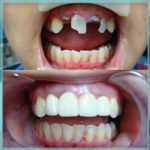 I had tried several Dentists in the US for some years and I was looking to get a decent work done. 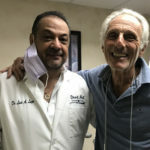 At Dent-Art Center I met Dr. Luis Lugo and his confidence and experience in Dentistry made me trust his decision to perform 3 Dental Implants and the results are just what I wanted. They have a very good Front Desk Service, a shuttle service and the Staff in general are kind and helpful in every step. 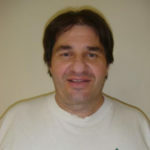 I would say the service is great and that Dr, Lugo is amazing and he is really the best one ever. I couldn’t be happier with the service, skill and all around good experience I’ve had with Dent Art. 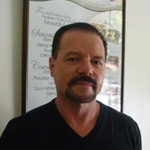 Dr. Lugo is incredible and his staff is professional yet friendly and sweet. Thnak you so much for my new smile!! 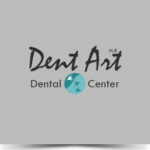 I’m very happy to have found Den Art Center online, and specially Dr. Lugo and his staff, they are all very professional and kind, I will forever be thankful for their great service, and specially Dr. Lugo for giving me my smile back. Thank you all, thank you for everything. I’m very satisfied with Dent Art, will recomend to friends and family. So happy I met Dr. Lugo! Everyone here is amazing, and I can now smile with greatest joy. 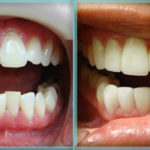 I came to Dent Art for a cleaning and a Zoom Whitening, I am very happy with all their services. Consultation is cost free and they gave me an accurate estimate followed by a very satisfactory explanation regarding my dental treatment. I will be recommending Dent Art to Others. 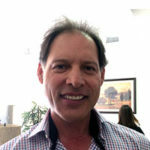 All the services at Dent Art are Excellent, I am very pleased with Dr. Lugo and the way I have been treated, I had never before had this kind of treatment at a Dental Office. I recommend Dent Art to all. Thank You. This is the best dentist office in the world. 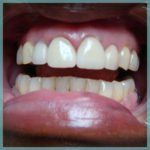 Very friendly, efficient and professional, did I mention that their consultation has no cost?!! Neither their great shuttle service that picks me up at the border. I love Dent Art. Amazing Staff, doctor and service, highly recommended dentist. 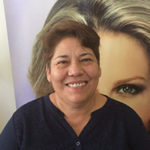 The Staff at this office is perfect, Doctor Claudia Canchola is very professional, their shuttle service is great, as well as their Facilities and front desk service, and I was given a satisfactory explanation about my whole treatment and payment methods and prices. I will recommend Dent Art to others. Thank you. Loved the people on the dental center and my new implants are the best BEST! I will be back for cleanings and just to visit all the great people here. Well worth the time, money and adventure! Great services. Loved the work and the Doctor. Very Easy experience. The girls in the front are great. Thank you, will recommend. 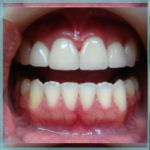 Very pleased with the cleaning, nice hygienist, very pleasant. Met the doctor, he was friendly, gave me quick advise. Good experience. Thank you, will recommend. My experience here with Dent Art and Dr. Lugo and staff has been very professional, friendly and accommodating to all my needs, on a scale 1 – 10 I rate them #10. Never liked going to see a dentist but coming here has completely changed my attitude and I plan on coming here for my dental care from now on. I love my smile now and wish I would have done this year ago. Thanks to everyone here for being patient and making me feel relaxed and comfortable. I would highly recommend Den Art to family and friends, it’s definitely worth the drive coming from the OC. I really enjoyed Dr. Claudia Canchola’s way of treating me, she performed and extraordinary job, I will recommend you all to my friends and family. Thank you Dent Art. I am very happy with the final result. The price was very good. They were a few times that I felt that the dentist and the tech were a little too rough, twisting my lip and pushing on my jaw. It was a very long day! The office staff were very helpful and nice. Great experience My first appointment Dr. Canchola and her assistant were very kind to me, the worked patiently while I complained about sensitivity, they waited for me to be completely numb to continue working. My second appointment, once more, was a good experience. Personalized attention, very kind and the girls at the front desk make you feel at home. The doctors are excellent and very professional. I’m very happy with my experience. My wife Bertha and my son, Marlon Campillo Jr had dental work done here at Dent Art and we are very satisfied with their great service and work. The staff is very efficient. The doctors are very kind and helpful, giving their best at filling our necessities as much as possible, they also handle great affordable prices. From the moment I walked in the door, the staff was super friendly, they welcomed me, the doctor was also very welcoming, explained my options and gave me his recommendation, my procedure took 3 days and everyday I walked out with a better smile, Im leaving Dent Art super pleased with all the work I had done and will definetly recommend and come back myself. Thank you again for giving me my smile back. Thank you all for a wonderful experience, will never go back to the U.S for dental work I Love you all. I had and amazing experience at Dent Art! I love my new smile, it could not be better!! The staff is amazing, and the work is amazing!! Would highly recommend coming here!! Thank You Dr. Lugo and Team! Everyone is friendly, caring and committed to helping. This office is very modern and efficient. They even pick us up at the border and take us back. Thank you so much! The prices are excellent. I tell all my friends and acquaintances to come here. I did tons of research on the internet and word of mouth and all I heard were good things about Dr. Lugo at Dent Art, well it’s all true. After 8 implants and a whole mount full of metal free crowns I could not be more pleased, Dr. Lugo is very talented and personable. He really cares about his patients he absolutely stands behind his work if anything goes wrong he will make it right. 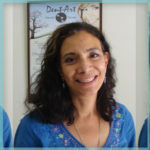 I have told many friends about Den Art and the all agree, Dent Art, Dr. Lugo and all the Staff ROC! 1,000 Stars Hallelujah B.
I have always had a very pleasant and positive experience with Dr. Claudia who I have seen many times for crowns and filling work. 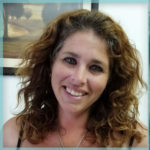 I would highly recommend her for anyone looking for excellent Dental work at affordable price, I also have seen Dr. Andrea (Dr. Lugo’s Daughter) for dental cleaning and left extremely comfortable with her gentle touch and care in doing the best job. I highly recommend Andrea as well. 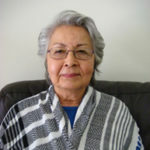 Taressa B. 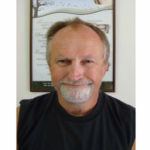 My experience at Dent Art has been very rewarding, the staff is kind and made me feel like my problem mattered. I am grateful to Dr. Lugo for his dedication and human nature in all my monthly visits, I am very satisfied with the result. Thank You. This is phase 2 of 3 and it has gone better than I ever expected. The 21 crowns and caps are in, the new teeth look fantastic. Another implant went in today and also more bone in the area. To date I have had 2 extractions, 5 implants, upper sinus lift and bone transplant and 21 teeth reconstructed. It has been a very rewarding experience coming here and trusting all my dental work, (which was major), to Dr. Lugo and his professional staff. Everyone from the driver to Dr. Lugo has treated me with dignity, respect and taking all the care for my health and dental needs. The cost savings have been well worth the effort to come here from Vancouver Canada. 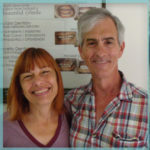 I would highly recommend for anyone, whether you are considering minor to major dental work, to allow Dr. Lugo to perform his professional craftsmanship on whoever requires his expertise. Every time I come to Dr. Lugo’s office (despite the pain) it’s very pleasurable to see all the staff, always with a smile and a very kind attitude. 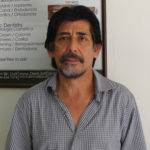 Doctor Luis Lugo is excellent, perfectionist and very friendly. I always recommend them. Thank you, DentArt. I am very happy with the procedure, friendly and professional team, around Dr. Lugo. Thank you for my amazing new fabulous smile. I’ve been coming here for 2 years now. 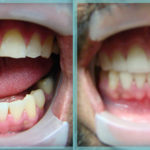 I get all my major dental work done here, during this visit I had 2 CEREC crowns put in my two front teeth, the price was amazing and so was the service. All the staff here are great, very professional, Dr. Claudia Canchola did a very good job putting my crowns on, the outcome was beautiful and I had no pain. I love my new smile I have recommended this place to all of my family and friends, and they have come and love this place just as much as I do. I found dent art over the internet, and decided to book my appointment, everything over the phone sounded great, I decided to get veneers and I feel very satisfied with the result. 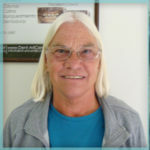 They are very good people, kind and caring with all their patients. The Staff and the Doctor are all very professional, kind and with a very positive attitude, I received a lot of information from all of them, they really made me feel great, which is very important. 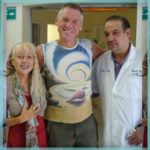 Doctor Lugo is very well-mannered, he explained himself very clearly and was very patient with all my questions. I’m really happy to be here, thank you all!! "It Could Not Have Been Easier" "From the time I first called Dent Art Center everyone I've worked with there has been exemplary. Whether it be Juliana's cheerful voice on the phone making my appointments and arranging for their driver to come pick me up at the border for no extra charge. 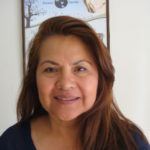 Or Dr. Lugo's easy going personality and excellent skills. To Karla's efficient handling of the clerical details with my insurance company it has all been so easy. No need to be concerned about a language barrier as they all speak perfect English. They had no trouble billing my USA based insurance company and I was even able to maximize my savings using my Flexible Spend Account from work!" I’ve been 100% satisfied with my experience with Den Art. 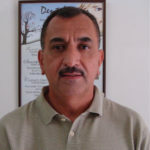 The services provided by Dr. Lugo are very professional and he is very experienced. He always answers to all my questions and doubts very kindly. All his staff is very friendly and they always take the time to explain very thoroughly what your procedure is going to be about. Since you walk into the clinic you can feel a warm welcoming, and all the clients, at least in my experience here, go home very satisfied. Likewise, the facilities are very pretty, wide, comfortable and high tech, they are very organized with the patient’s files and also have parking and other benefits. 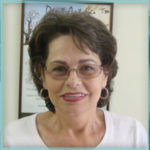 Waiting times can take longer than expected, so I would recommend you plan ahead and take this into consideration, other than this, I highly recommend Dr. Lugo’s dental clinic. I would like to say a big Thank You for the fantastic job you have done on my crown, I am thrilled with the final result, the crown fits beautifully that I cannot even tell which one the crown is! At the end, I can really say with all my heart that it was 100% worth it. Thank You!! I also appreciated your service of transportation. Once again, thank you so very much for al that you have done for me, my sister, mom, and father. I will continue to spread the word, you’re wonderful. Root Canal To begin with, excellent shuttle service with Miguel, regarding my root canal procedure, no pain at all, a side of professional, very kind, and sweet during and after my procedure. I’m leaving very happy and looking forward to coming back. 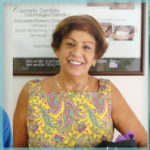 The staff is great and sweet, Dr. Lugo, Dr. Elsa, Dr. Claudia, Isis, Karla, Karlita, Yuliana and Miguel. 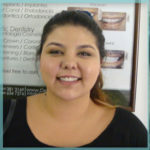 Venners, Crowns, Inlays Professional Service, Dr. Claudia Canchola was professional and patient with her work, all staff is very kind and attentive with their service and follow up. It was my first time at Dent art, I was referred by my friend Mr. Ramo Tolido to this office. 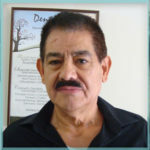 I am very happy, all personal was professional and very friendly and very nice Dr. Luis is the best. 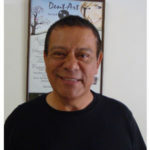 I am very blessed to have found Dr. Lugo and his people at Dent-Art Center. When I first came to them they took x-rays on the first day and next week they started to work on my teeth, at great prices, a robot in the US dental wanted to take three times more. 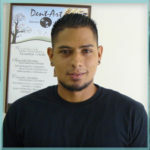 Dent-Art staff is very friendly, I advise on all dental requests to contact them. 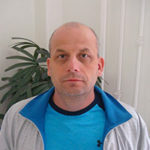 Я очень благодатный Dr. Lugo и его людям в Dent-Art Center. Когда Я первый раз к ним пришёл они в первый день сделали снимки и на следующей неделе приступили к работе. По ценам за такую самую роботу в США зубные хотели в три раза больше взять. В Dent-Art все очень дружные, советую по всем зубные просьбам обращаться к ним. I came from all the way Des Moines Iowa, since day one I called this dental office they were very friendly, they made me feel invited, I didn’t know anybody here, they gave me directions, made me feel very safe. They cleaned my teeth and put in braces, very friendly, I will recommend my family, friends and coworkers and I will come back always. Thank you, I got picked up at the border, and drive me back, very lovely doctors and workers. The way Dr. Lugo treated me in the clinic, was Excellent, as well as all his staff medical and administrative. Thank you very much for your hospitality. Very satisfied with all the work done. Very fast and efficient. 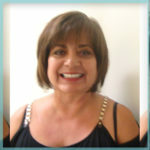 I was referred to Dr. Lugo thru Dr. Ana Oviedo and I will highly recommend Dr. Luis Alberto Lugo with other friends. Thank you. Surgery went well, I feel so lucky to be getting my procedure done here in Dent Art, I am in no pain, it was great!! See you in April. Thank You, Dr. Lugo. One of our services includes free transportation for all patients on a safe, convenient shuttle to/from the Mexico-U.S. border. 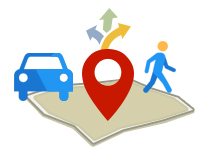 Relax as you travel to our office from the border crossing. 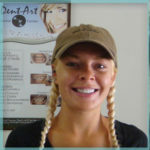 Our team of dental lab technicians has years of experience working with us. The lab has been developed through the advancement in dental lab equipments, new dental technologies, and regular training of our staffs. 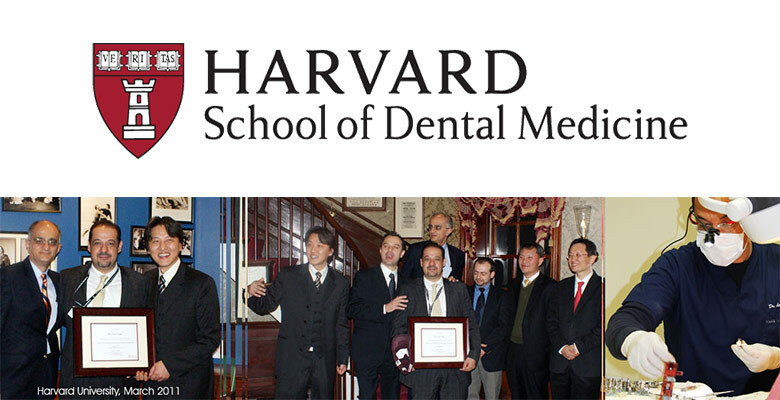 what many regard as the top dental institutions in the world. Dr. Luis Lugo combines his experience in cosmetic dentistry with an impeccable artistic skill to give you a bright and beautiful smile. He is determined to give you the smile you deserve. 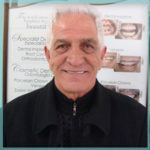 His philosophy is to create a smile that reflects who you are, one that achieves your goals and enhances not only your teeth, but also your self-esteem. 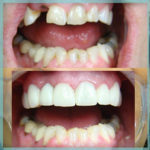 We are experts in improving your smile by using Dental Implants, Veneers and Crowns. 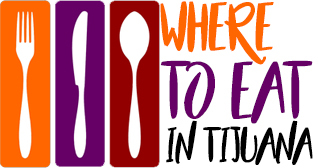 Schedule your visit today!